NOT included in the Electoral (amendment) Bill transmitted to Mr President on August 3, 2018. 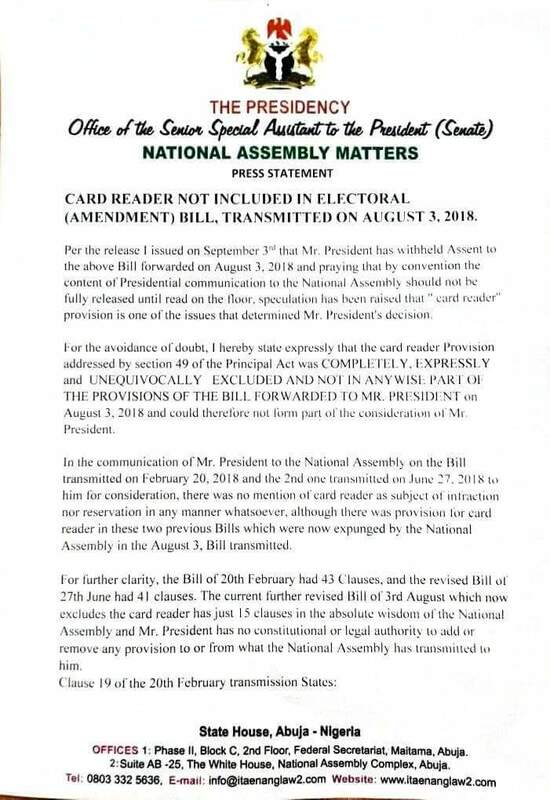 Why then was PDP busy spreading lies and propaganda that Buhari refused to sign because he was afraid of card readers? PDP will always remain a lying and fraudulent party.